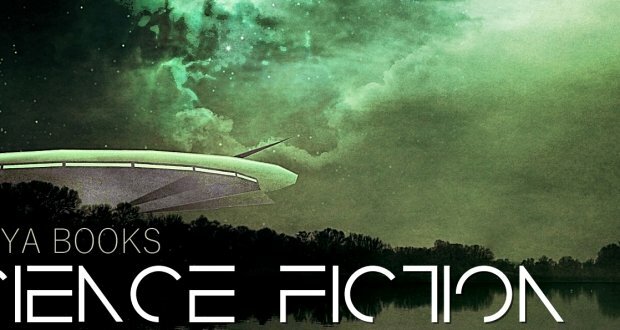 Science Fiction fans, rejoice! 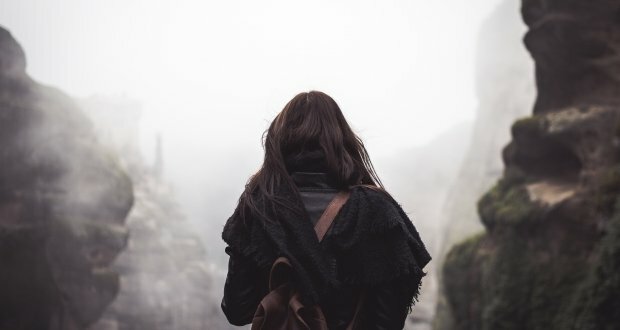 Here’s a list of great YA SF books – from dystopia to romance – and all of them are guaranteed to give you a good time. But the best part? They’re all free! So check out the list and have fun reading! 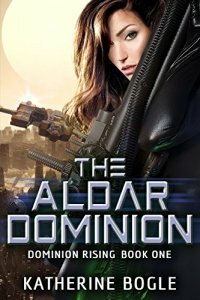 The Aldar Dominion saved the world. Then they damned it. After solar flares decimated Earth’s population, the alien corporation gave humans a recipe for immortality and hope for the next generation. Cloning and the technology to transport consciousness from one body to another saved the human race from extinction. But the value of human life plummeted. In an age when animal conservation no longer exists, Selene smuggles animals to safety. While fleeing Dominion drones during a mission gone wrong, Selene suffers a debilitating head injury. The pain unlocks memories from twenty lost years: stark labs and human experiments. These nightmares could hold the key to why natural-born human children are disappearing. But worse—they reveal a sinister plot centuries in the making. Can Selene decipher her dreams in time to avoid enslavement to the aliens? Or will she witness the end of the human race? The corporate abuse of youth with the special ability to manipulate reality is at its apex. A revolution to regain society has emerged and sixteen-year-old Leeyah is thrust in the middle of the war against the corporate controlled police. Will a growing ability put her life at risk? 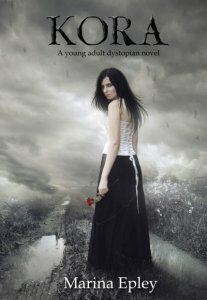 In a future that could be ours, Lizzie, a suicidal teen-age girl, barely navigates her own life. Then everything falls apart. In an apocalyptic land nearly deserted by disease, she lacks reasons to live until a shocking turn of events reveals a phone number. Her call pulls her dangerously cross-country to meet a stranger she thought was dead. In a world where there is plenty of food, plenty of gas, plenty of space… fear, anger and a lust for power still control the patterns of human life. 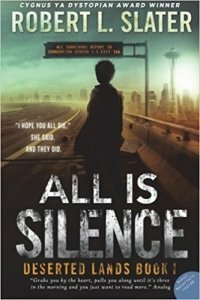 As the apocalypse heads into dystopian territory, Lizzie must decide who are her friends, her family and who is a danger to them. A strong heroine is made, not born. Though Careen Catecher survived a terrorist attack when she was nine, her childhood ended on that awful day. Now, nine years later, she’s ready for her life to truly begin. A full scholarship to a prestigious university far from her beleaguered home quadrant seems like a dream come true, but when she arrives on campus, she’s perceived as a charity case, despite grades and test scores that prove she’s the academic equal of the best students there. Careen knows she’s tough enough to survive just about anything, but fitting in with her acquisitive peers—at least on the surface—is necessary if she’s going to leave the past behind and claim the stable future she craves. But her past won’t stay buried. She’s only been at school for a few weeks when a cryptic message from an unlikely friend raises questions that may put her in danger all over again. Xander’s a normal teenager, who thinks about three things on repeat — geology, basketball, and girls. 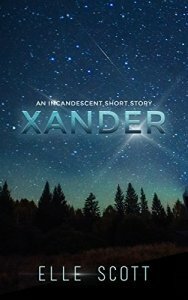 Luckily, Xander is bored with normal and finds himself in the wrong place at the right time; seeing something civilians aren’t supposed to. And soon, his biggest dilemma of whether he should go to a party with a girl he regrets sleeping with, turns into whether he should join a top-secret organisation that collect mysterious orbs. When Iolani Bearse was five years old, she lost her father to war. When she was nine, her mother died in a freak car accident. When Lani was fourteen, eerie green lights invaded, tearing her from the only home she had left. Living as a runaway, dragging a horse and her cousin Eleanor across the countryside, Lani must learn to survive. Now Lani is the only person between the horrible, greedy lights and the last bit of family she has left. Her own heart is barely beating, but powerful memories pull her to Malcolm St. John. She fights what she feels, buried deep within her shattered soul. Malcolm St. John always held his feelings in, especially about Iolani. So when she shows up on his doorstep, desperate and determined, Mal must decide if the wild tales she spins are the fragments of insanity or the last hope for a dying nation. This Lani is different from the child he knew. Something is coming for her, for him, and will not be stopped. If the cousins and Malcolm can’t escape the grasping hunters who hound them, the future of a broken America will be destroyed. Everything Lani has ever loved will burn with them. Somehow, she must find a path through friendship and loyalty to save them all. 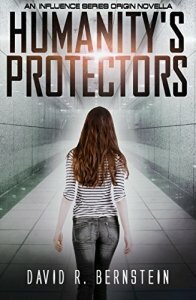 Allira Daniels will do anything to keep her Defective brother safe from the Institute. They claim to protect Defectives, but it’s human nature to fear the unknown. Defectives are dangerous, they possess abilities that no human should be able to. To Allira and the rest of her family, the Institute seems more like a prison than the safe-haven they promote themselves to be. Protecting Shilah from that fate is their number one priority. 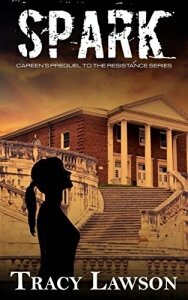 When Allira stumbles across a car crash involving two of her school classmates, she ignores all of her father’s warnings of laying low and not drawing attention to herself. By doing so, she may have just caught the eye of the Institute. She’s not Defective, but what seventeen-year-old girl has the ability to pull two teenage boys away from a fiery rubble and walk away without a scratch? It would definitely be seen as suspicious. Allira and her family need to make decisions. Do they stay, or do they flee again? Will they be coming for her? Will her whole family come under investigation? 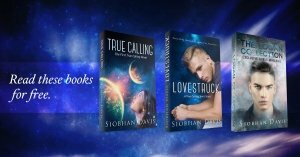 Will they discover Shilah and his ability to predict the future? Eric Welborn isn’t completely human, but he isn’t the only shade in the small Midwest town of Hayworth. With one year left before his eighteenth birthday, Eric is destined to win a long-raging war for his kind. But then she happens. In the middle of the night, Eric meets a nameless shade, and she’s powerful–too powerful–and his beliefs are altered. The Dark has lied to him, and he’s determined to figure out exactly what lies were told, even if the secrets protect his survival. Jessica Taylor moves to Hayworth, and her only goal is to find more information on her deceased biological family. Her adoptive parents agree to help on one condition: perfect grades. And Jessica is distraught when she’s assigned as Eric’s class partner. He won’t help, let alone talk to her, but she’s determined to change him–even if it means revealing everything he’s strived to hide. Invier’s family is too lowly-ranked for a union with Neith, so she, unwilling to accept a loveless union with someone else, revives a long-abandoned competition called the Pursual. 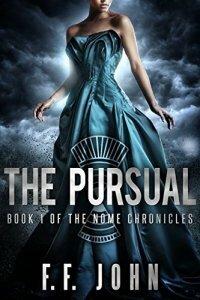 In the Pursual, the prize is the girl and an alliance with her influential family. Entered into the competition without his consent, Invier becomes suspicious of Neith’s motives. Still, he must win, or see his love married to a rival. The mysterious deaths of competitors, the discovery of dark secrets, and a growing rebellion mean that nothing will come easy. The competition meant to bring them together threatens to tear the couple apart. Yet only by working together will they overcome their rivals and gain a life with each other. On the colony planet New Earth, Christopher loves spending time with a quirky, absent-minded scientist, his uncle Tremain. In a freak lab accident, the entire colony’s history is erased. Now they have no choice but to travel back in time to restore the missing yesterdays before they too fade away. Prince Zakrom feels like everyone on Granota has found their One — their beloved for life — except him. His worried parents send him to visit Earth, hoping it will distract him from his solitude. Zak finds more than a distraction: Jennifer, the lovely human at the Interstellar Embassy, is his One! But surely such a beautiful creature can’t be interested in a strange-looking alien like him. With the Ambassador called away on urgent business, Jen’s in a panic at being left in charge of the Prince’s visit. She loves learning about alien cultures, but somehow missed the file on the Granotans and is totally unprepared. If she blunders too badly, she could cause a diplomatic incident or even trigger an attack on Earth! But despite her constant gaffes, the Prince doesn’t seem upset. In fact, he seems to like her… rather a lot. 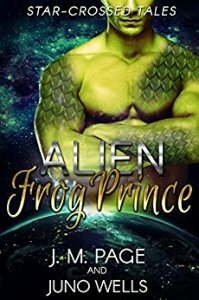 When he invites her to visit his planet, will this unlikely couple finally have the chance to share an enchanted Kiss that will change everything? Seventeen year old Jade Sommers’ life is turned upside down when a serious injury heals right before her eyes. Jade thinks she is going insane, but her boyfriend, Aiden Scott, knows better. He knows what she is. And like him, she was born this way. 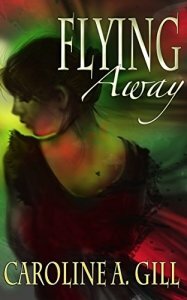 If finding out that people like her shouldn’t exist isn’t bad enough, Jade’s best friend is kidnapped by a psycho who terrorises her dreams. 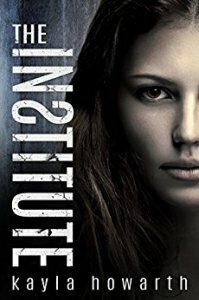 She and Aiden have to figure out how to save her before it’s too late. Jade is only just coming to terms with her mothers murder when she discovers she is the centre of a sadistic game where the consequences will destroy the lives around her. Someone will die. Someone will live. Who these will be will depend on Jade being able to figure out the cryptic messages before time runs out. Someone will discover her secret. Someone has been deceiving her. And Jade’s life will once again be changed forever. 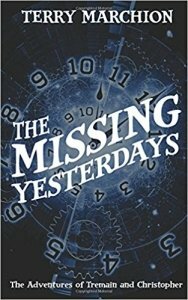 The year is 1799 (Gregorian calendar) and no one on Earth knows the seeds of the world’s destruction have just fallen from space in this story of an alternate history alien war. 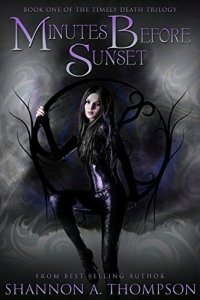 When Tiana, captain of the Freedom Confederacy’s Corvette Valishnu, pursues the enemy’s ship into tunnel space, both ships crash on an uncharted planet.. Now, with the vampiric niiaH loose in a new ecosystem, she must find them and wipe them out before they reproduce or a primitive sentient species will be enslaved and the Tyrant Empire will rise again, this time starting on a planet called Earth. 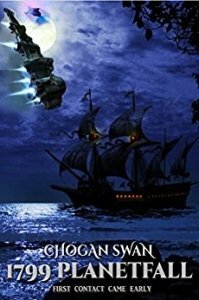 But, Tiana’s ship and all its technology are at the bottom of the ocean; all her symbiont partners are dead, and she is the Valishnu’s only survivor. For fans of Divergent and The Hunger Games. An exciting young adult dystopian novel about a sixteen-year-old Kora who must become a fearless fighter in order to rescue her friends and the guy she loves. Find out what happens when a bad boy meets a really bad girl. Trained by a rebel operative, former indentured serf, Mirelda Iyak, is tasked with evading Intergalactic Intelligence Officers and entering the Inner Ring on a dangerous mission that will end the Supreme Leader’s reign of terror, or her life. 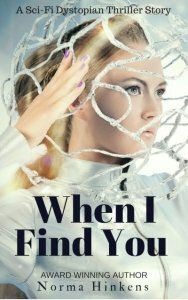 But first she must successfully pass through the Migration Processing Ministry’s notorious neuro-hub detection system and infiltrate a dynasty that holds a dark secret from her past. Who is the real Mirelda Iyak and why is she the chosen one to end the struggle for Galactic freedom? Fasten your seatbelt for a thrilling sci-fi short story through a galaxy far, far away!